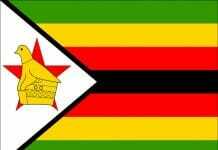 Without the aid of food processing, we would not have the convenience of the large variety of food products available in supermarkets and other food outlets. In last week’s in-depth article on agro-processing, we discussed the processing of root crops such as asparagus and kohlrabi. This week we have a look at the multiple processing methods of other root crops such as onions and potatoes. Frozen onions: Diced onion pieces are frozen and packaged in plastic pouches to be used by large-scale caterers and food service institutions. Onion oil is extracted from minced onion by means of a distillation process using organic solvents such as hexane. The pungency or flavour strength of the oil is 500 times that of a similar dehydrated product, making onion oil a very useful flavouring agent. 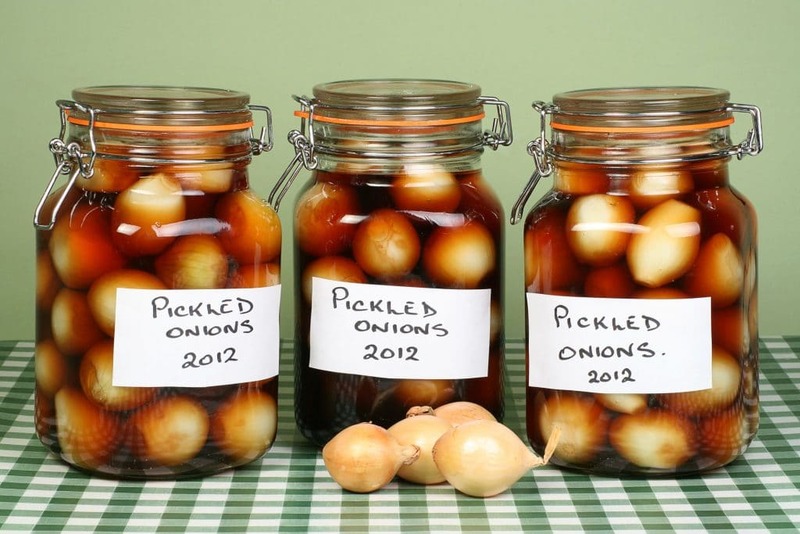 Pickled onions: Small onions are peeled and stored in brine (salt solution) to facilitate natural fermentation of the product. The fermented onions are then packed and preserved in vinegar liquor to produce pickled onions. Dehydrated onion products include onion rings, flakes and powder. 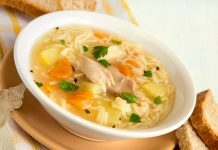 It is a very popular flavouring agent and finds application in dry soup and sauce mixes, canned products and pet food. Canned onions: Onions are usually preserved by dehydration, but small white-skinned varieties are canned. Onion bulbs intended for canning are usually less than 3,8cm in diameter. Diced frozen onions: Chopped onions have become an important frozen product in recent years, with white varieties of onions being preferred for freezing. Onions do not require blanching (which could destroy the enzyme responsible for the characteristic pungency of the vegetable) as they are relatively stable. Dehydrated potato pieces are prepared from pre-cooked, peeled potato pieces. Dehydration is performed in cabinet-, tunnel- or belt dryers. Fresh cut potatoes: Fresh cut produce is any fresh fruit or vegetable that has been physically altered from its original form but remains fresh. It has been trimmed, peeled, washed (and cut) to make a product that is 100% usable, with no wastage. Young or so-called baby potatoes are used for fresh cut peeled potatoes. Frozen diced potatoes are used for the preparation of hash browns or for inclusion in stews and casseroles. Frozen French fries are made from potato strips that are partially or completely fried prior to freezing. It only requires a short frying or oven baking treatment prior to eating. Frozen mashed potatoes: Mashed or whipped potatoes can be shaped into various shapes and sizes and frozen as such. The product can then be used as a casing for other products such as sauces or fillings. Frozen potato croquettes are an extruded product made from mashed potato that is blended with optional ingredients and seasoning. The seasoned mash is extruded into any desirable shape, deep fat fried and frozen. Frozen hash browns are made from grated potato that is blended with complementary ingredients. The mixture is shaped and fried prior to freezing and packaging. 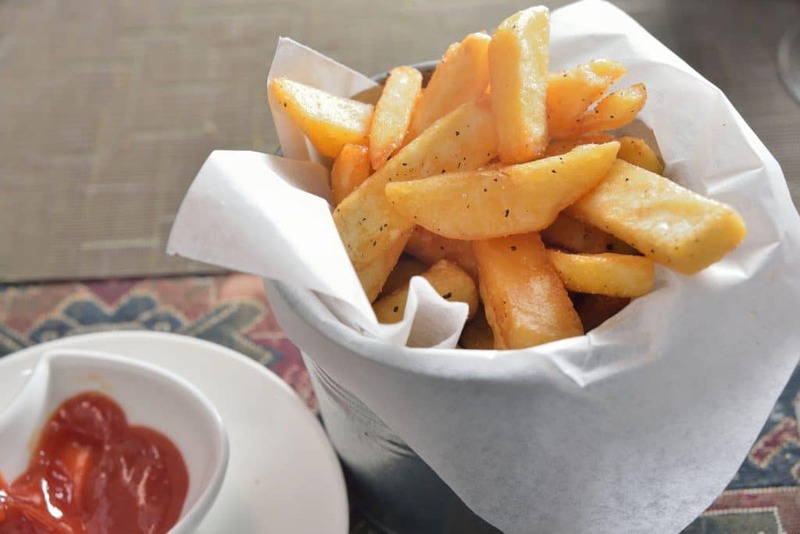 Potato chips (crisps) are thinly sliced pieces of potato that is fried, flavoured and eaten as a snack. Potato flour is produced through dehydration of cooked mashed potato on drum dryers. The flour is used in the baking industry to enhance the keeping quality of baked products. It may also be rehydrated to produce instant mashed potato by the addition of boiling water and/or milk. Potato starch is extracted from pulped potatoes through a washing process. The starch slurry is then dehydrated. Potato starch is widely used in the food industry in its native or a modified form. Canned potatoes: The potatoes best suited for canning are small new potatoes with smooth shoulders and free from contours with a creamy-white flesh colour. 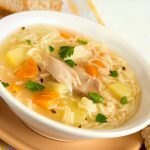 Diced potatoes: Diced potatoes are usually used in the preparation of hash-brown potatoes, but this product may also be used for potato salad and in other ways. 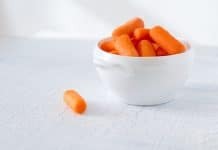 Canned sweet potato pieces: Peeled and cooked sweet potato pieces are canned with or without the addition of sugar syrup. Dehydrated sweet potato flakes: Peeled, cooked and cut sweet potatoes are mashed and dehydrated on drum dryers to produce dry flakes. The flakes can further be ground to produce sweet potato flour. Dehydrated sweet potato pieces: Peeled, cooked and cut sweet potatoes are dehydrated to reduce the moisture content to 4% and to extend the storage life of the product. Frozen formed sweet potato products: Cooked and seasoned sweet potato mash is shaped into any desired form and frozen individually in continuous freezers. Frozen sweet potato mash: Peeled, cooked and mashed sweet potatoes are frozen in plastic bags. Frozen sweet potato pieces: Peeled, blanched and cut sweet potatoes are frozen in continuous freezers. Reconstructed sweet potato chips are made from the mash that is mixed with complementary ingredients and formed into a paste. The paste is shaped and cut into slices that resemble potato chips (crisps). The sweet potato chips are fried or baked and consumed as a snack. 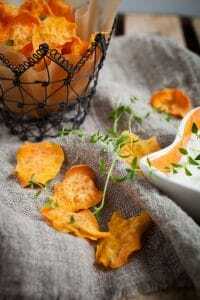 Sweet potato chips: Blanched sweet potato slices are fried in hot vegetable oil and eaten as a snack. Sweet potato starch: Fresh, peeled tubers are disintegrated and mixed with water to form a slurry. Starch is extracted from the slurry through a series of washing and precipitation steps. Sweet potato sugar syrups are made from sweet potato starch, which is converted into a whole range of different types of sugars by means of special enzymes. Canned sweet potato mash: Peeled, cooked and mashed sweet potatoes are canned to produce a convenience product. Sugar and citric acid may be added to improve the taste of the product. Canned turnips: When harvested at under 40mm in size, the turnips are processed for canning. Diced turnips: Turnips are generally eaten as a cooked vegetable, but may also be processed for use in pickles, and in mixed and diced frozen vegetables. Fresh pack turnips: As stated above, turnips are usually eaten as a cooked vegetable. 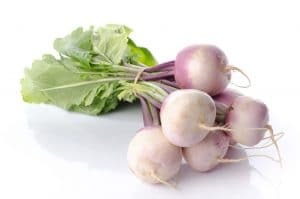 The turnip tops are eaten as an early spring-green vegetable. 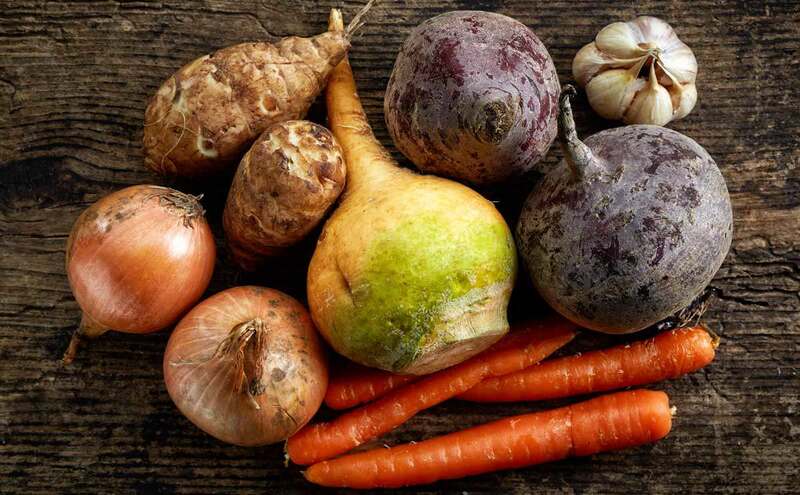 The manual on the agro-processing of root crops contain complete information on the products discussed above as well as many other processing methods and products available to the processor. The manual is available from the ARC – Institute for Agricultural Engineering. For more information, contact Elmarie Stoltz on 012 842 4017, or send an email to stoltze@arc.agric.za. Next articleSkud jou vere reg … dis Bloemskou-tyd!